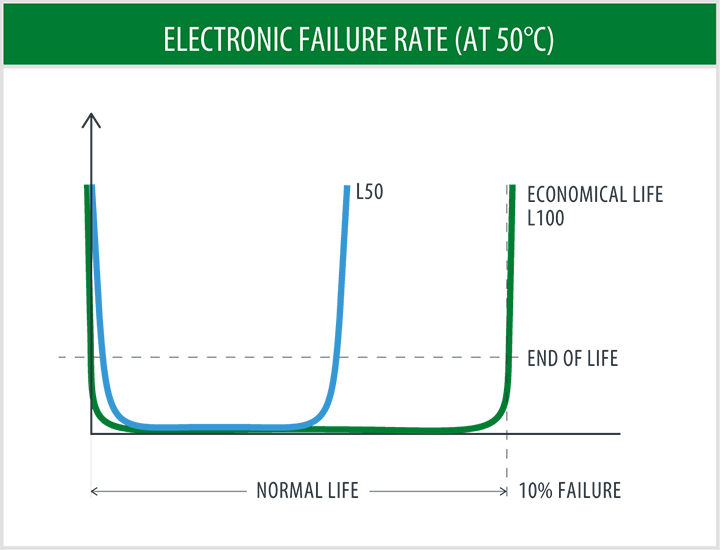 Long service life is guaranteed with high ambient temperature ratings on batteries, LEDs and electronics in combination with long life electronics providing 100,000 hours at 40Â°C. All electronics and LEDs are designed for operation in ambient temperatures of up to 40ÂºC with batteries which operate up to 60ÂºC. 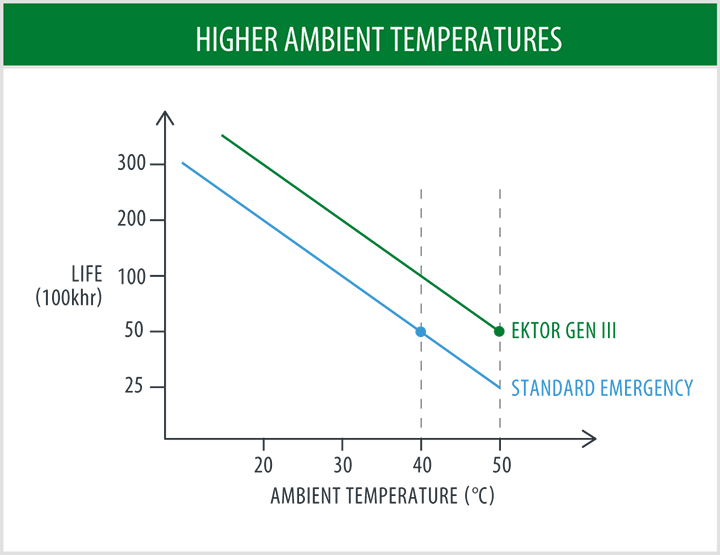 Increased ambient temperatures ratings ensure high life expectancies in rugged and demanding environments.